Jared Smug here. You may know me as handsome and dashing Ross Pembrooke from the BBC's recent highly acclaimed adaptation of the historical novel Rugged Blokes in Period Costume. I want you all to take a deep breath. Go on. Mmmmm, can you just smell that? That salty sea air, the lingering odour of candy floss and sea food. It takes me right back to family holidays when I was a boy. That's the thing about our wonderful sense of smell, isn't it? It has the power to evoke such marvellous memories with a vivacity and immediacy that other senses simply can't match. As an actor, I know just how important smell is in conjuring up the atmosphere of a scene. Of course, you can't smell it at home through your television sets, but making sure that we are using the right smells on set is all part of the magic of our art. For instance, when I played Dr Clint Marlboro in the tense TV hospital drama People Having Accidents, I would start each working day by dousing myself liberally with pungent antiseptic lotions. For my guest role as a murderous Cambridge lecturer in the detective drama Grumpy Inspector with an Old Car, I sought out the fusty smells of worn leather and ancient oak panelled rooms associated with academia. And as Ross Pembrooke, retired cavalry officer and gentleman farmer, I spray myself from head to toe with horse sweat and pig manure before each scene. As my old stage school teacher used to say, you can smell authenticity - and anyone standing downwind of me during a take will tell you that I am one of the most authentic actors of my generation. It's really no wonder then that we should cherish those fabulous aromas that we come to associate with treasured times and places. If only there was some way that we could capture them and keep them as we might a precious photograph or a prized memento. Well, you know what, now there is! 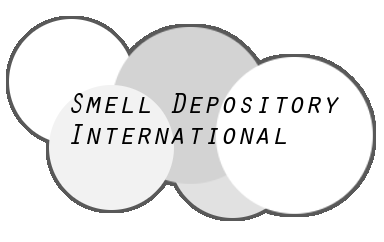 Smell Depository International has developed a way for your special smells to be digitised and stored for posterity. And when they asked me to tell you all about this wonderful service - shortly after I learned that Rugged Blokes in Period Costume was not being picked up for a new series - of course I jumped at the opportunity. For a modest annual subscription of just £120, you can deposit up to five smells a year* which you can then access through your PC, phone or tablet. And if you sign up before the end of the month you will get a free Pongulator with which you can stream smells directly from the internet#. *All smells accepted, except creosote, coconut or WD40, as these clog our filters. # Not compatible with Aromatron and similar devices.